Are you fluctuating to find the best Hindi channels on YouTube that you want to have the experience of watching the ultimate channels from all categories? Just relax by watching below given list which is most entertaining and informative. Here is the list of top Hindi YouTube Channels. They completely create the videos of the web programs, podcasts and outlines that are available on the source of the internet by making jokes on others. This well-known channel on YouTube since it’s launched. This channel has 2,220,471+ subscribers and 236,052,796+ views. This is the channel where we can find plenty of Hindi movies. They generate the South Indian blockbuster movies and comedy scenes that are being dubbed into the Hindi language which are easily understood by the North Indians. The unique specialty of this channel is on every Saturday they upload Hindi dubbed South Indian movie. This channel has obtained 2,373,461+ subscribers and 1,199,295,132+ views. It is a hilarious channel and we can’t find this type fun on any channel. In this channel, Bhuvan Bam will disclose the conversation happening between the wife and husband by playing both roles himself. Through his funny performance, he has trenched huge fans. This channel has 3,241,809+ subscribers and 430,586,939+ views. It comes under the category comedy. In this channel generates all shows, live events and trending programs that are having huge demand. These are created by considering the preferences of the audiences especially that strike at the eye of the youngsters. This channel has acquired huge popularity in the kind of entertainment. It has 2,524,772+ subscribers and 345,616,555+ views. This channel is intended for revealing the different dishes in varied styles by Nisha Madhulika. In this channel, she cooks the recipes in a unique and simple way for which everyone feels much excited to try at their own house. This channel has clutched 2,126,061+ subscribers and 549,110,699+ views. In this channel, Sandeep Maheswari will give the tips and advantages to overcome the stress in breaking the challenging problem. Here we can find the ultimate motivational videos that being implemented by the Sandeep Maheshwari when he struck in severe issues. This channel is useful for each individual to kick off the failure and it has 2,273,353+ subscribers and 145,058,810+ views. This is a channel that surely useful for the people who wants know more about the present trending technology and how to works and impacts the present generation. He describes everything in an easy and understanding language of Hindi. This channel has attained 1,936,690+ subscribers and 159,756,754+ views in short span of time. In this channel, we can find the tips and tricks especially for ladies to do makeup, hair styles, skin and fitness either preparing for parties or be at the home. At the same time, she describes the beauty products by making reviews on that. We can figure out 760,595+ subscribers and 140,900,320+ views and she delivers the matter to the audience only in Hindi which is very easy to understand. This is the funny channel where he uploads the videos of making satirical words on others who are earning money through YouTube and recomposing other viral videos on his own. This channel has rapidly changed the regular line of the audience by reaching the unexpected target. It has 1,219,452+ subscribers and 139,104,778+ views. Shirley Setia will exhibit her musical talent through uploading her song on this channel. She is a teenager who became much popular in less period of time in the music track of YouTube channel. As he is passionate about singing has made this channel to have 1,364,708+ subscribers and 100,882,582+ views. 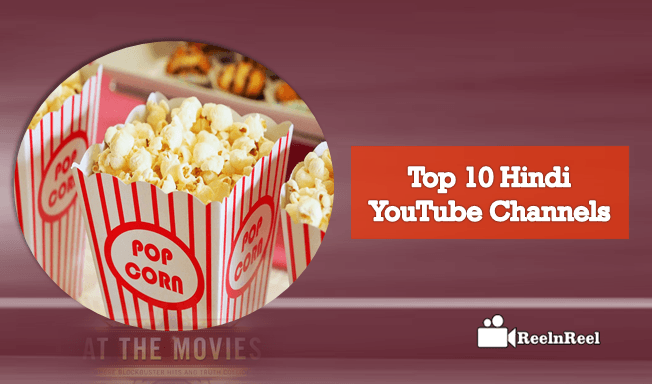 These are most popular Hindi YouTube channels that are figuring out their brand on YouTube with an ultimate effort and as well as bombarding the entertainment to the audience by exceeding their capacity.